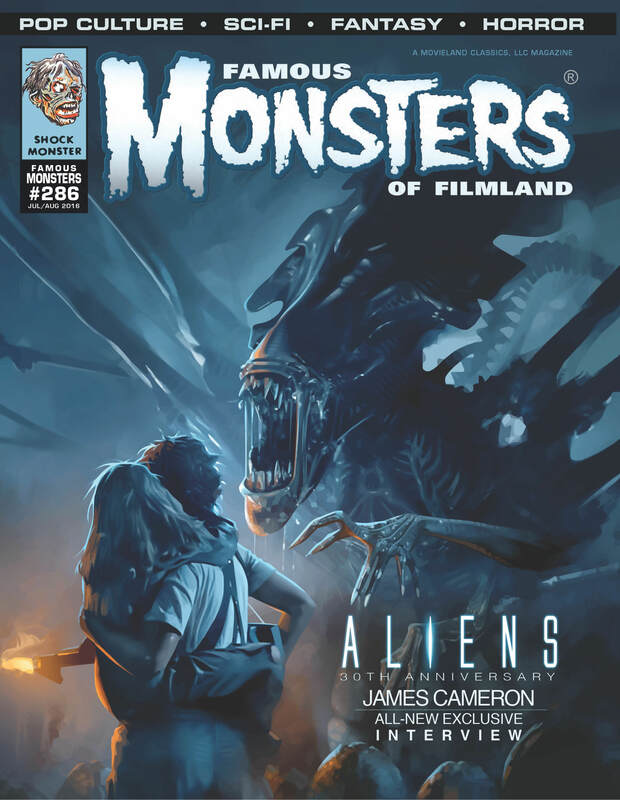 ALIEN DAY has arrived, and to celebrate, Famous Monsters has two special exclusive reveals and an ALIEN-themed giveaway! FAMOUS MONSTERS MAGAZINE’S INFLUENCE ON CAMERON: “The effect Famous Monsters magazine had on me when I was ten years old through my teen years was psychological. It was a reality check that I wasn’t crazy, because other people loved this stuff, too. I certainly never got any support within my family or from my parents or even that much from my friends that monsters were cool. So it was my contact with a larger community of fans for horror and science fiction.” Cameron also shares new AVATAR sequel details and much more in the all-new, exclusive interview. TWITTER GIVEAWAY FROM FAMOUS MONSTERS AND NECA: During Alien Day, fans who tweet a picture of our ALIENS cover using #FMAlien and follow @FMoF will be entered to win a Series 7 Translucent Xenomorph figure (7″ scale) from NECA! Fans will recognize this figure from early costume tests for Ridley Scott’s 1979 ALIEN. While costume malfunctions kept the team from moving forward with the translucent suit, it still remains an iconic piece of film history. Tweets must be made before 11:59pm, PST on April 26, 2016. PreviousThe Outre Eye of Daniel XIII featuring: HOLIDAYS, KRAMPUS, THE ZERO BOYS and More!